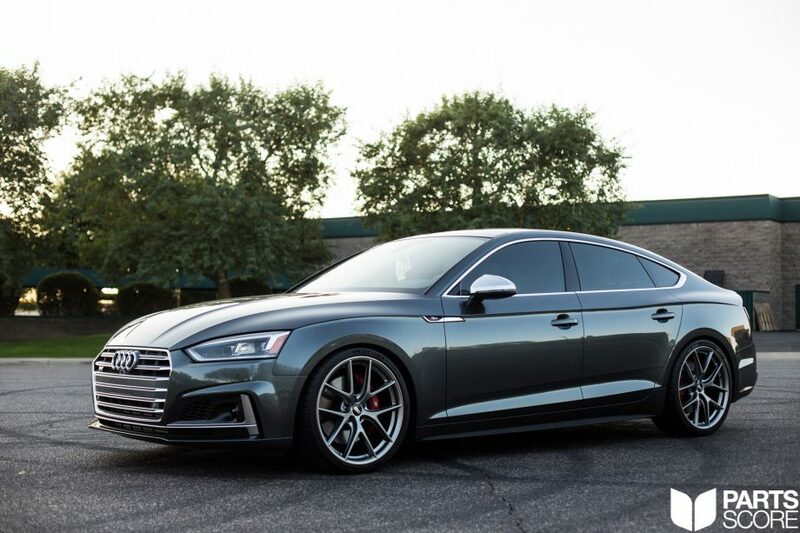 With the release of the new B9 Platform the United States finally gets our hands on the coveted B9 S5 Sportback and its less expensive brother the B9 A5 Sportback. 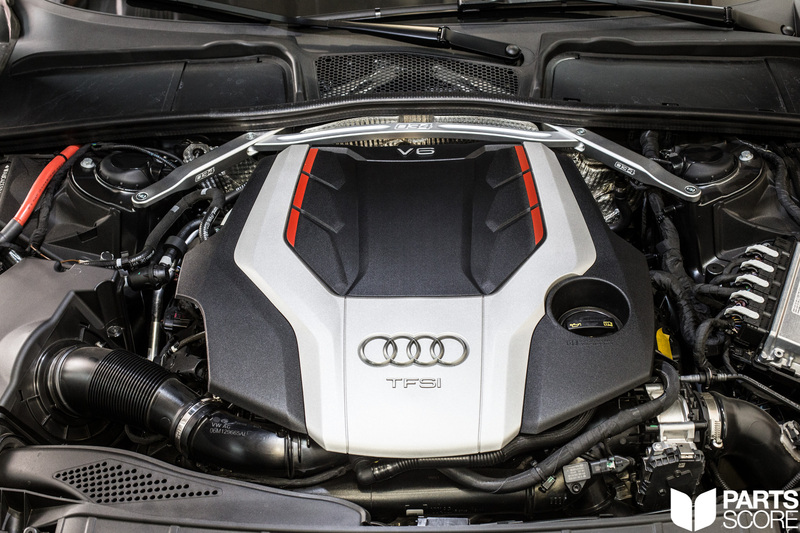 Having been available in Europe for a number of years on the previous B8/B8.5 platform, the evolutionary design language found on the B9 S5 Sportback raises the bar even further and sets this Audi apart from its competitors such as the 4 Series Gran Coupe & Mercedes CLS. 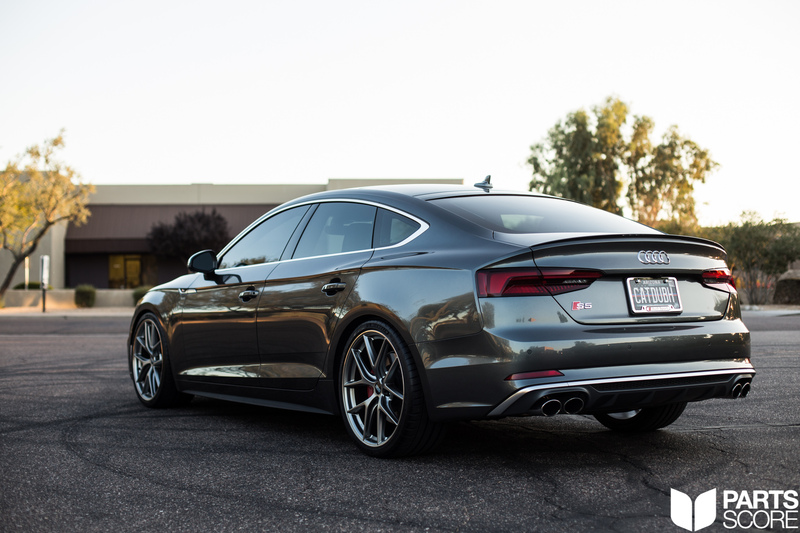 One way to set your B9 S5 Sportback apart from the crowd even more would be with a refined package of modifications; the owner of this particular Audi decided to enhance both the looks and performance with the addition of a KW Suspension H.A.S. 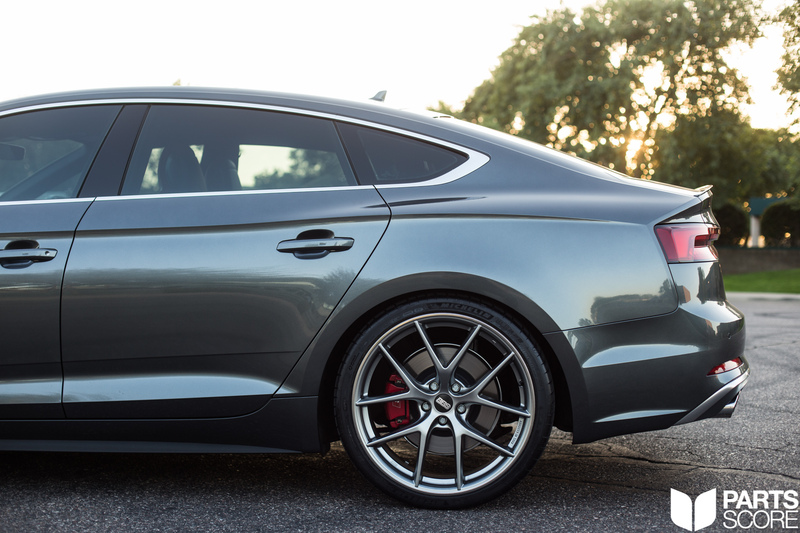 Kit, 20″ BBS CIR Wheels wrapped in Michelin Pilot Sport 4S Tires, and a whole suite of Chassis Bracing and Inserts from 034 Motorsport! 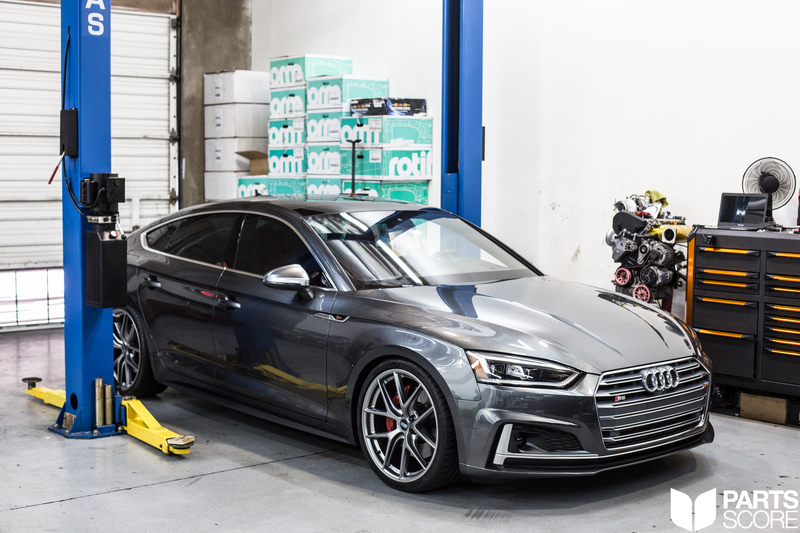 Starting with the wheels, for this build our customer wanted a wheel design that would pair well with the sleek modern lines of the Sportback, through much research and renderings we landed on the BBS CIR in a 20″x9″ square fitment. Various finish options were discussed however the Platinum Silver paired with the Polished Stainless Steel Rim Protector was the final choice. 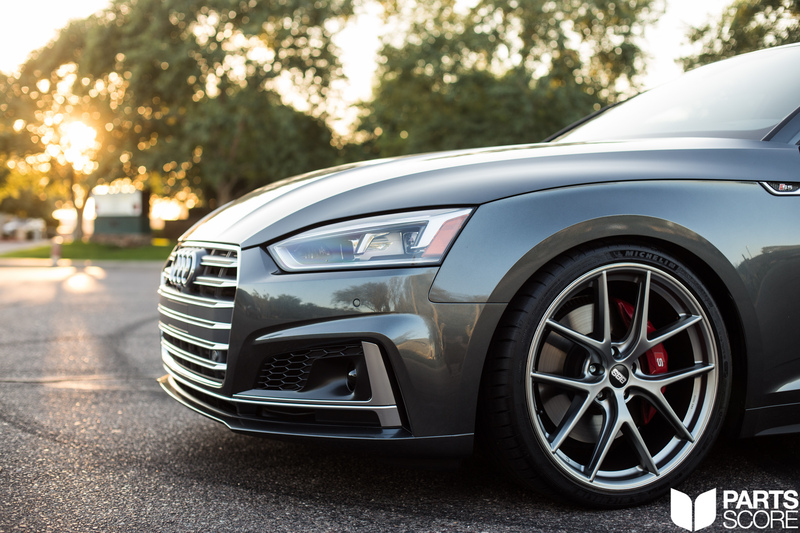 When the rubber meets the road no compromises are allowed, a set of Michelin Pilot Sport 4S tires were the only appropriate choice. 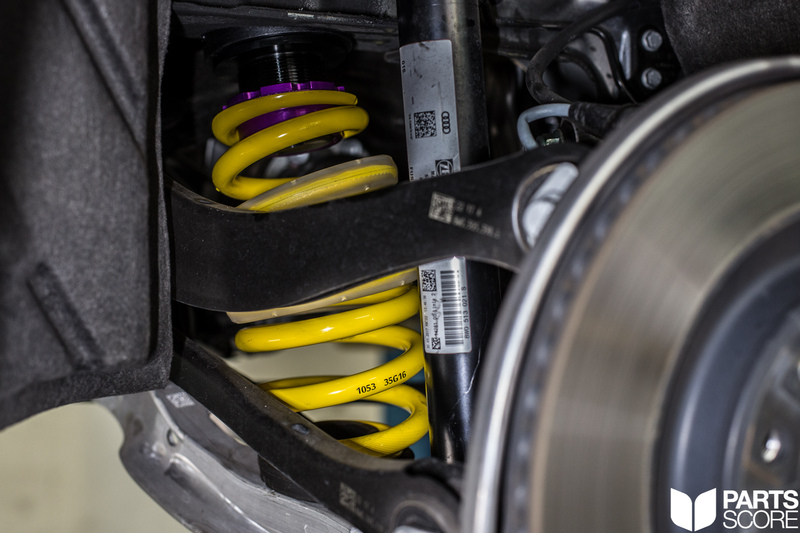 BBS offers a number of designs and finishes for all tastes, everything from Flow Form, to Forged, to Custom 3 Piece, they have it all. 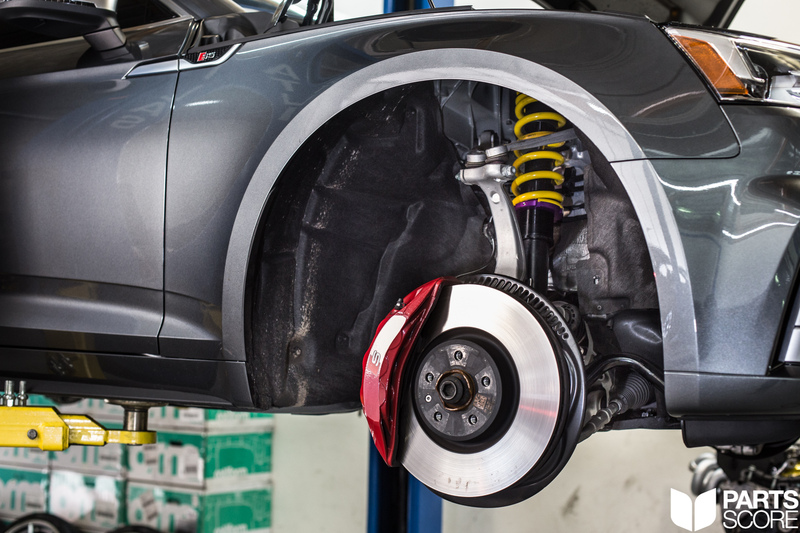 We have in house wheel experts who can guide you along through the process of selecting the right wheel for your car, fitment desires, taste, and budget. 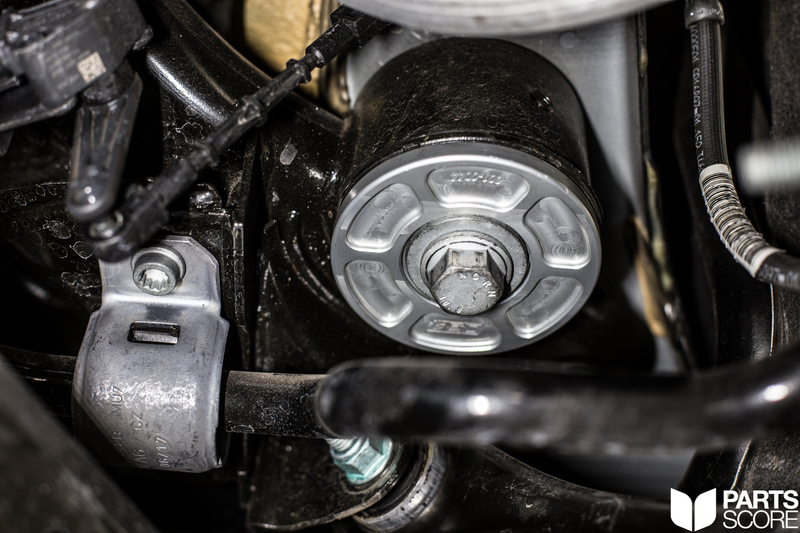 Contact one of our modification specialists now at wither 602 814 6543 or contact@partsscore.com for more information and to order. 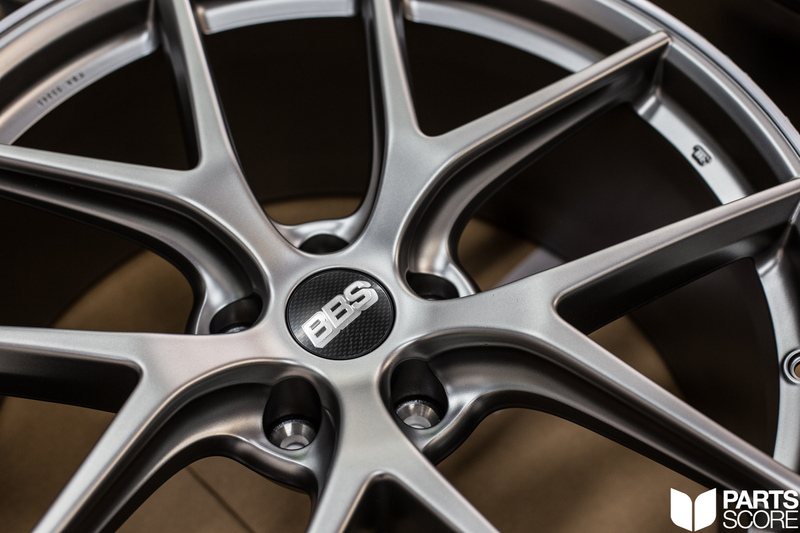 Also, click here to see other BBS Wheel designs installed on a B9 S4. 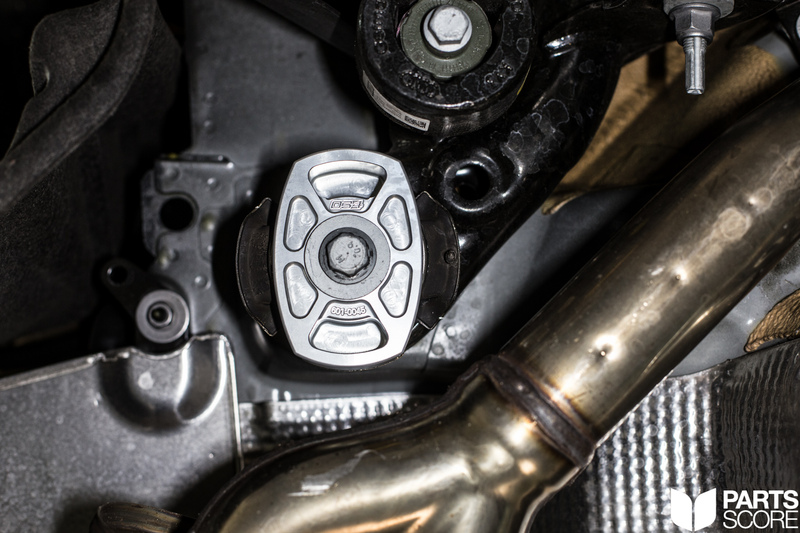 All of these components are readily available, we have multiple kits in stock and installation is available at our Scottsdale Arizona location or you can order online and have any of these parts shipped direct to your door. 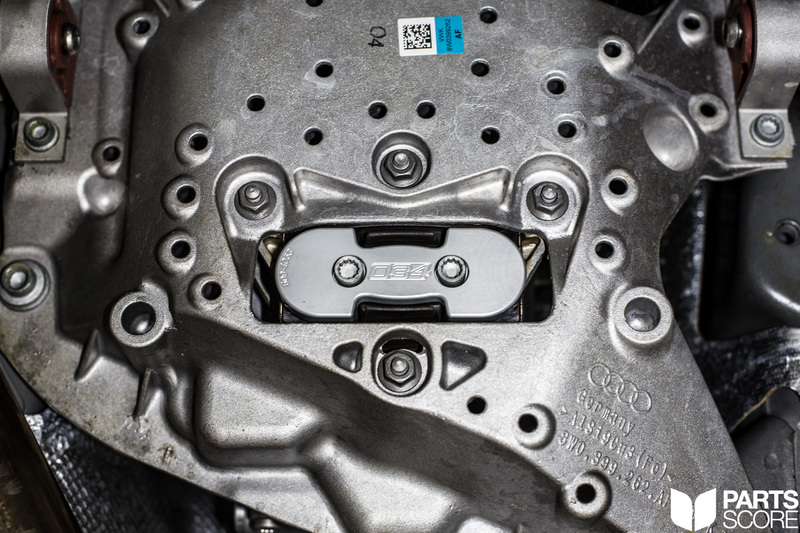 Contact one of our modification specialists now at wither 602 814 6543 or contact@partsscore.com for more information and to order. Four Rings! 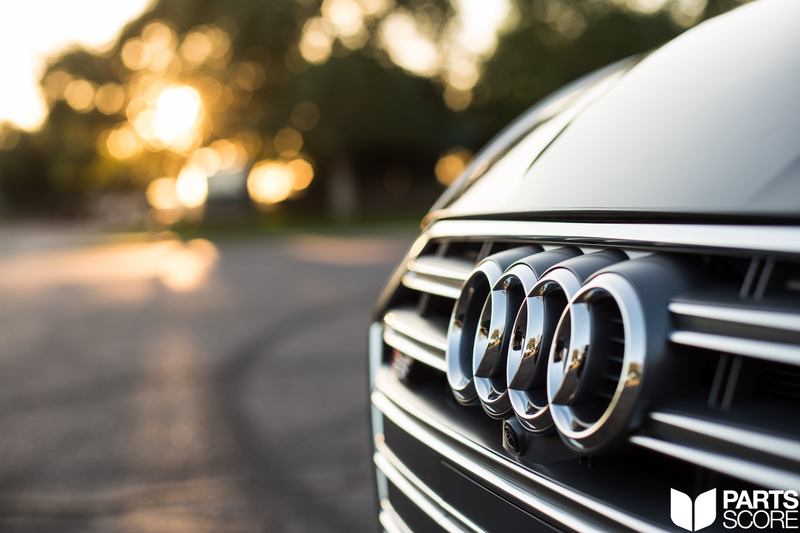 It all started with Audi, DKW, Horch and Wanderer who are now today Audi AG, part of VW Group. The finish on the BBS CIR Wheels is incredible. 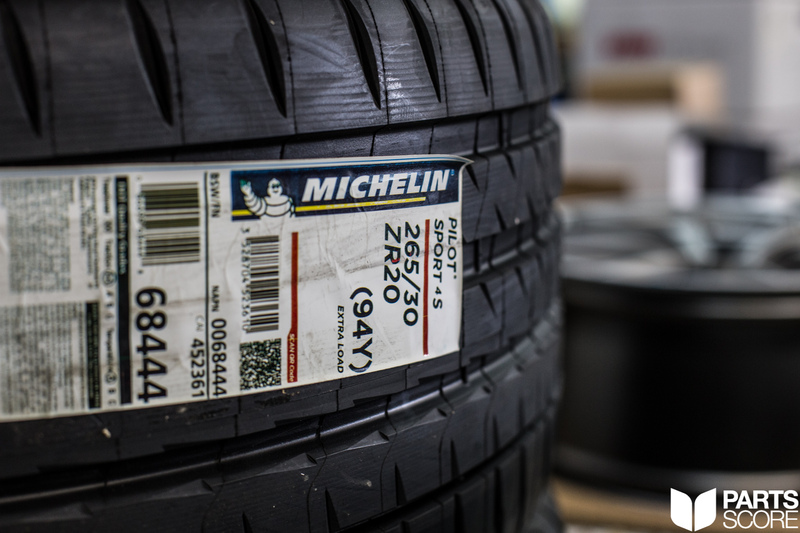 Only the best Michelin Pilot Sport 4S tires! 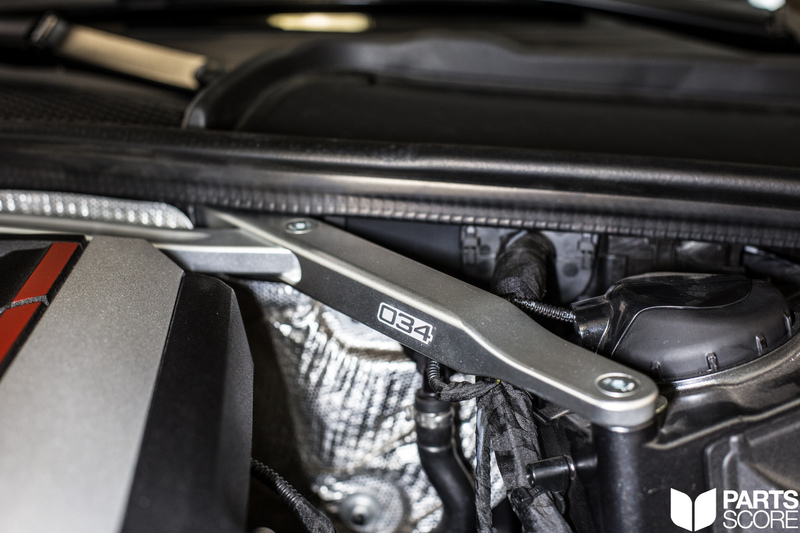 KW H.A.S. Kit is installed! 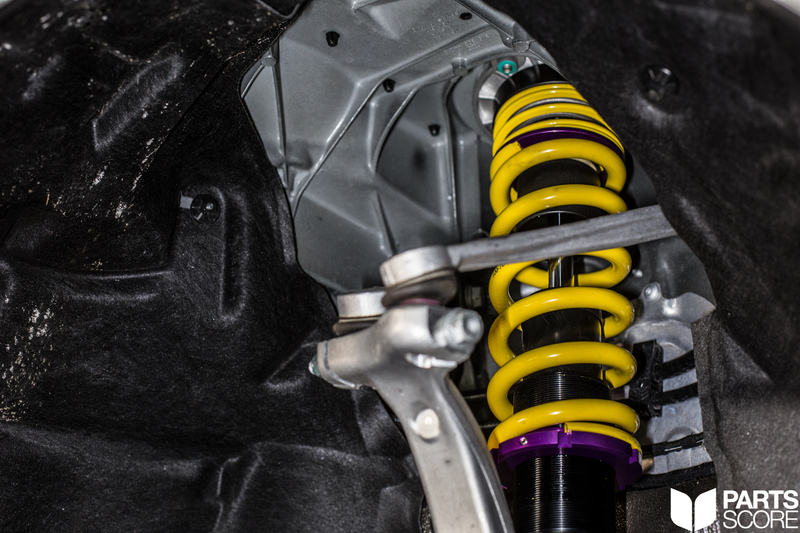 Closeup of the front suspension post installation.